By Rachel Held Evans, on July 03, 2013. We’re taking advantage of our “Ask a…” series to talk with some of today’s leading theologians about the difficult topic of hell. Yesterday, Edward Fudge responded to your questions about conditionalism (sometimes called annihilationism)—the view that immortality is conditional upon belief in Jesus Christ, so the unsaved will ultimately be destroyed and cease to exist rather than suffer eternally in hell. Today, I’d like to introduce Robin Parry, who describes himself as an evangelical universalist. Robin holds the view that one day God will reconcile all people to himself through Jesus Christ. Robin is a theological editor for Wipf and Stock Publishers. He lives in the UK and is the husband of but one wife and the father of two beautiful daughters (and the proud owner of a three-legged cat). Robin has written books on topics like Old Testament ethics, the book of Lamentations, and trinitarian worship. He is the author of The Evangelical Universalist, a controversial text written under the pen name of Gregory MacDonald. His impossible dream is to play the harmonica as well as Sunny Boy Williamson. 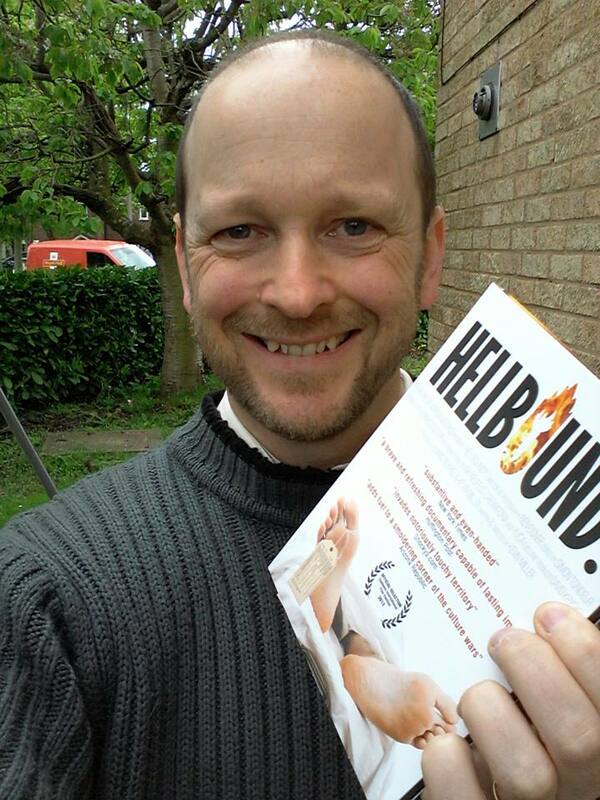 Robin was recently featured in the feature-length documentary, Hellbound, (which would be a great film to watch along with our series!) He's got a great sense of humor and has an engaging, conversational approach to discussing matters of theology. You know the drill! If you have a question about universalism for Robin, leave it in the comment section. Be sure to utilize the "like" feature so we can get a sense of what questions are of most interest to you. After 24-hours, I'll pose seven of the most popular questions to Robin and post his responses next week.